Crypto-currencies are set to take center stage. Mike Novogratz is launching a hedge fund, exchanges are teeing up futures contracts, big banks are likely to enter the fray and even the Fed is taking notice. It may end in tears, but the industry won’t ignore a $300 bln market. 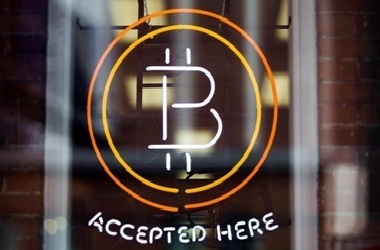 A Bitcoin sign is seen in a window in Toronto, May 8 2014. CME on Dec. 1 said it would launch the first U.S. futures contract on bitcoin on Dec. 18. The contract will be settled in cash based on the exchange’s daily Bitcoin Reference Rate. The margin requirement will be 35 percent and the exchange will set a daily price fluctuation limit of plus or minus 20 percent. The Federal Reserve is in early stages of considering “what it would mean” to offer digital currencies sometime in the future and whether it may be necessary as an alternative to cash, William Dudley, president of the Federal Reserve Bank of New York, said on Nov. 29. The following day Randal Quarles, the Fed’s vice chair for supervision, said digital currencies could pose financial stability risks and central banks should proceed cautiously in issuing their own. The price of bitcoin, the biggest crypto-currency, surged above $10,000 for the first time on Nov. 29 according to Coindesk, taking the outstanding value of the digital coins over $180 billion. Website Coinmarketcap.com tracks over 1,000 digital coins and tokens with a total circulating value over $300 billion as of Dec. 1. Bitcoin and ether are the largest.